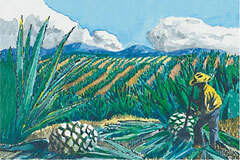 Agave Nectar is a 100% organic sweetener extracted from the Blue Agave plant. High in fructose and sweeter than refined sugar, Nekutli Agave Nectar does not stimulate digestive insulin secretion as do other sugars. Because it is less disturbing to the glycemic index, our Agave Nectar does not produce an unhealthy “sugar rush” when used. Agave Nectar is considered a low-glycemic sweetener. 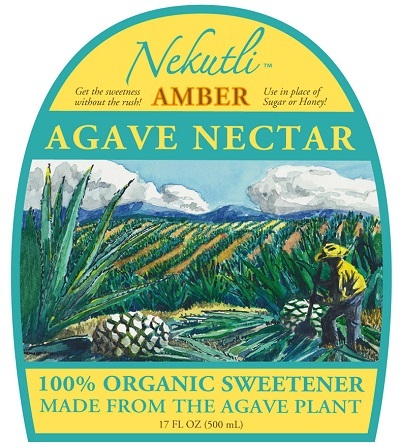 Nekutli Agave Nectar is sold in three different grades: Light, Amber and Dark. Our light Agave Nectar is flavor-neutral and ideal for naturally sweetening foods and drinks without distracting from their own distinctive flavors. Our amber Agave Nectar offers the delicate flavors of Agave and is suitable for tea, lemonade, cocktails, baked goods, sauces, and a wide variety of other cooking applications. Chefs have taken a great liking to Agave Nectar and many of them consider the Amber to be the most versatile. The dark is rich in the intense flavors distinctive to Agave and is perfect for naturally sweetening BBQ, stews, marinades and glazes. Nekutli Agave Nectar will never harden or crystallize. Agave Nectar is very soluble and mixes well in cold drinks such as iced teas and lemonades. Agave Nectar acts as a humidifying agent in baked goods, increasing their shelf life. It serves beautifully as a table-top sweetener and is popular amongst chefs nationwide. If you are a chef, caterer or just a good cook at home, please send us your recipes and we will include you in our profiles of chefs on our recipe page.